PRP is Platelet Rich Plasma. PRP is an innovative approach to tissue regeneration that uses the patient’s own blood. Typical concentrations of platelets in PRP are 5-10 times that found in normal blood. After obtaining blood from the patient it is spun in a centrifuge to concentrate the myriad of growth factors and anti-inflammatory proteins in the plasma that, once injected into the site of injury, produces a powerful and permanent healing response. Safe – We are often asked are PRP injections safe? Platelets are taken from a patient’s own blood, so there is very little risk of an adverse rejection reaction or disease transmission. Quick Healing Time – PRP Therapy takes place during a one hour in-office procedure. This allows patients to resume daily activities with a quick healing time. However, patients will often need to refrain from sports or exercise for several weeks or up to one month. 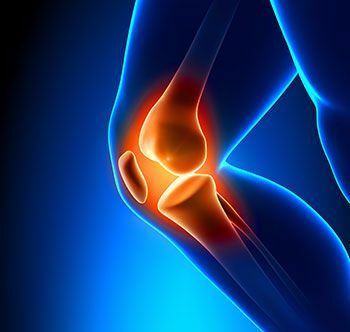 Avoid Invasive Surgery – Stem cell therapy combined with PRP injections often can allow patients to avoid joint surgery and lessen the need for pain medication. All-Natural – Using a patient’s own platelets allows the body to heal naturally. Cost Effective – PRP injections are a quick, cost effective, outpatient procedure that allows patients to avoid expensive hospital and facility costs associated with surgery. It’s our experience that soft tissue injuries and other acute conditions are extremely responsive to Platelet Rich Plasma injections. A consultation with our doctors will determine if you could benefit from PRP treatment. For other chronic and joint conditions that PRP injections can’t treat alone, stem cells harvested from a patient’s body can be an additional option to avoid invasive surgery. The National Football League (NFL), Major League Baseball (MLB), and the National Basketball Association (NBA), as well as the World Anti-Doping Agency have all declared that PRP is a non-performance enhancing, safe, and legal treatment for sports injuries.